Able is our main foundation Rottweiler male for our Rottweiler kennel. 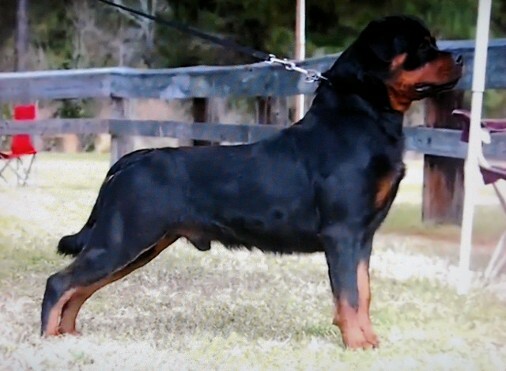 Able is a proven Rottweiler stud, producing several litters. The Rottweiler puppies he produced had large heads, thick bone substance, good conformation, and excellent temperments. 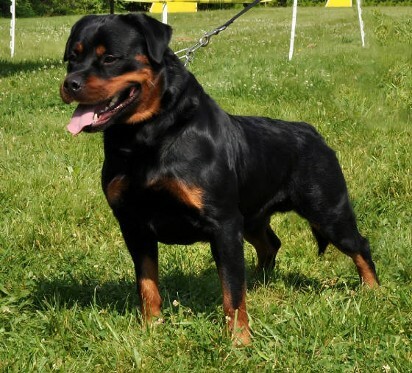 Our Rottweiler stud service is to females of merit. The Rottweiler females must not have any hereditary faults. Able has almost had all the OFA certifications required. Most Rottweiler breeders do not do all the certifications. Read Ables' critque. Our German Rottweiler puppies for sale are evaluated as they grow up. Each Rottweiler puppy has thier own character, This helps the new owner decide what type of Rottweiler pups they want for thier family. 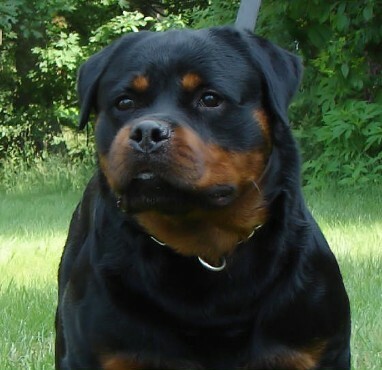 I believe you would be happy that Von Der Musikstadt is your Rottweiler breeder of choice, and that one of our Rottweilers would be a great addition to your family. Able is a great example to the Rottweiler breed. The video was taken at the AIRK National sieger show in Jacksonville, North Carolina. I believe this video has one of the most youtube hits for the Rottweiler reaching now over 181, 300 views.